In 2017, the top 5 product categories for sellers exporting to the USA are consumer electronic, cell phones and accessories, home furnishing, auto-parts and sporting goods. The Internet has revolutionized many aspects of our lives, from the way we work, socialize and even the way we shop. What was once a non-existent business model, eCommerce has now become a potential threat to the traditional mall as consumers know it. It grew exponentially over the years as it evolved and transformed to meet the ever-changing wants and needs of the modern consumer. ECommerce has grown leaps and bounds over the last few years as more and more people embraced and participated in eCommerce. Just on eBay alone, we've seen USD 72 Billion worth of Gross Merchandise Volume (GMV) sold in 2017, which was a USD 6 Billion increase from 2015. The world has shifted dramatically - we now live in a world of the always-on consumer who operate in an on-demand mode always. They consume what they want, when they want, on whatever format and location. This always-on connected society presents a unique opportunity for eCommerce to harness the power of mobile, social and big data to add context to shopping. Online marketplaces have grown to become the number one place for product vendors to sell, marketers to advertise, and consumers to shop. While many well-known retail stores and brands offer online shopping, the growth of online marketplaces such as eBay have transformed how consumers shop with added layers of convenience and confidence. With smartphones continuing to gain popularity and causing an increase in mobile phone users, one of the most recent significant evolutions of eCommerce, is the ability to browse and shop from responsive mobile sites or apps via a mobile device. Mobile commerce or M-commerce represents most people who prefer to experience the buyer's complete journey through smaller screens. In the last quarter of 2017, eBay saw USD 12.7 billion worth of sales volume completed on mobile devices. The generic customer journey is non-existent. More consumers are looking to stand out from the crowd and showcasing their unique personalities to gain an edge in their respective spheres. This is a driving factor for the consumers' need for product customization and exclusivity. Consumers are willing to spend more on customised items - even if it means purchasing them internationally as the exclusivity of the products appeal to them. This is reflected in the rise of international trade amongst Asian consumers with an average of 21% of imports, according to KPMG's Global Study on The Truth About Online Consumers. The change doesn't stop there! The rise in disruptive technologies - Virtual Reality (VR) and Artificial Intelligence (AI) - will continue to transform the eCommerce industry. The adoption of these emerging technologies in eCommerce not only enhance customer shopping experience but also improve the business efficiency. At eBay, we embrace the opportunities of new emerging technologies to innovate and transform the shopping experience for our customers. AI is constantly being developed further and brands and retailers are getting better at leveraging consumer and behavioral data. 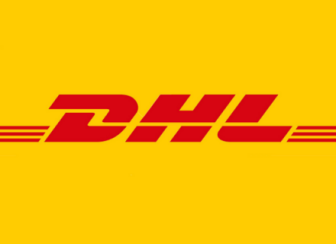 This enables them to conduct one to one marketing and innovate systems in fulfilment centres and logistics warehousing reducing delivery lead time for local and international shipments. Research claims that by 2020, as much as 85% of customer interactions will be handled without a human! In the first quarter, eBay launched a new product based commerce experience to a subset of its users, leveraging its structured data foundation. As part of its effort to build immersive and engaging buying and selling experiences, eBay also introduced a new augmented reality shipping tool to help customers find the right box to ship an item that is as easy as holding up a mobile phone. eBay's development teams are using artificial intelligence (AI) to sharpen the overall search experience, leveraging data and AI to improve recall and relevance on the eBay platform. With social media becoming an integral part of people's lives, businesses have become more responsive on it which leads to progress in customer relationship management. A Gartner study found that brands will lose 15% of their customers if they don't respond on social media. The eBay Shopbot, a chatbot accessed through the Facebook messenger platform, is a smart personal shopping assistant that provides natural, efficient and responsive interaction with the clients. Users can communicate with the bot via text, voice or using pictures taken with their smartphone of images related to a particular product. In 2017, the number of shoppers globally who abandon their carts before completing a purchase increased from 77.24% to 78.65%, indicating the need for retailers to further convince customers to follow through with their purchase decision. Businesses are turning to VR to help answer this need. When paired with augmented reality, VR is capable to redefine the retail world with almost a third of customers believing that businesses should invest more in these technologies to play a larger role in their shopping experience. eBay partnered with Australian retailer, Myer, to launch the first VR department store in which shoppers could look through thousands of Myer products through a VR headset. The virtual store showcases several categories of retail items in which shoppers will then select areas of interest and move through virtual "aisles" selecting or rejecting items using only sight. eBay Sight Search allows shoppers to choose items by holding their gaze on a product for a few seconds. Malaysia's eCommerce market will continue to be highly attractive with plenty of room to grow. It is driven by its increasing consumer spending, the growing number of internet users and the greater acceptance of mobile eCommerce. The increase in broadband penetration coupled with strong government support for Internet-based retail has lowered the entry barriers for Malaysians to trade online and across borders. As a one-stop solution for internet retail, eBay is a global platform with local players in mind. We encourage SMEs and businesses to embrace eCommerce and we try to assist them in making their journey into eCommerce a smoother one. 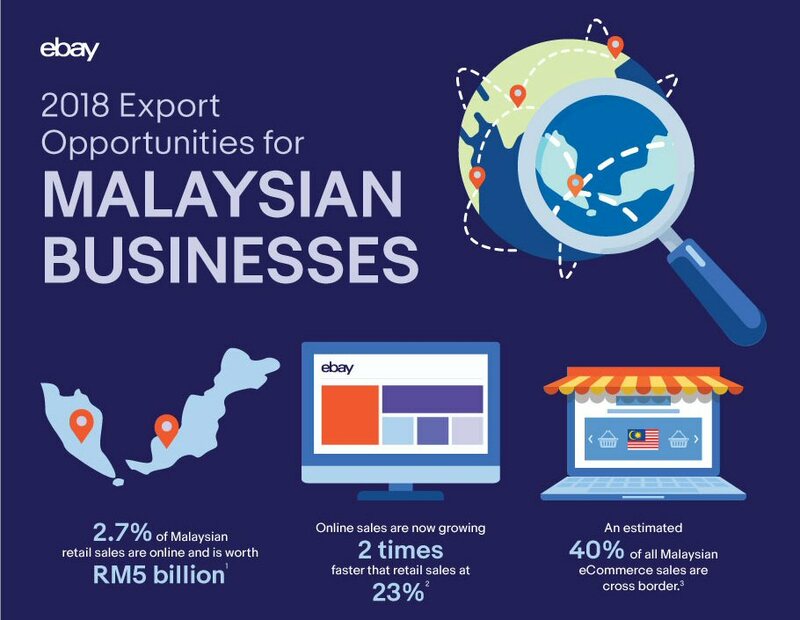 The retail export opportunity on eBay is very accessible to Malaysian SMEs and businesses compared to more traditional export industries. Malaysian businesses not only have the opportunity to grow their business further with the local market, being on eBay enables them to tap into eBay's global market - accessed by 170 million active buyers worldwide buying items from over 1.1 billion listings in our marketplace. eBay has improved its platform to enable Malaysian sellers to reach a global customer base and effectively target buyers with personalized listings. The improved brand platform, "Go Global with eBay" makes it easier for sellers to participate in cross border trade, strengthening the nation's digital economy and growing Malaysia's eCommerce sector. 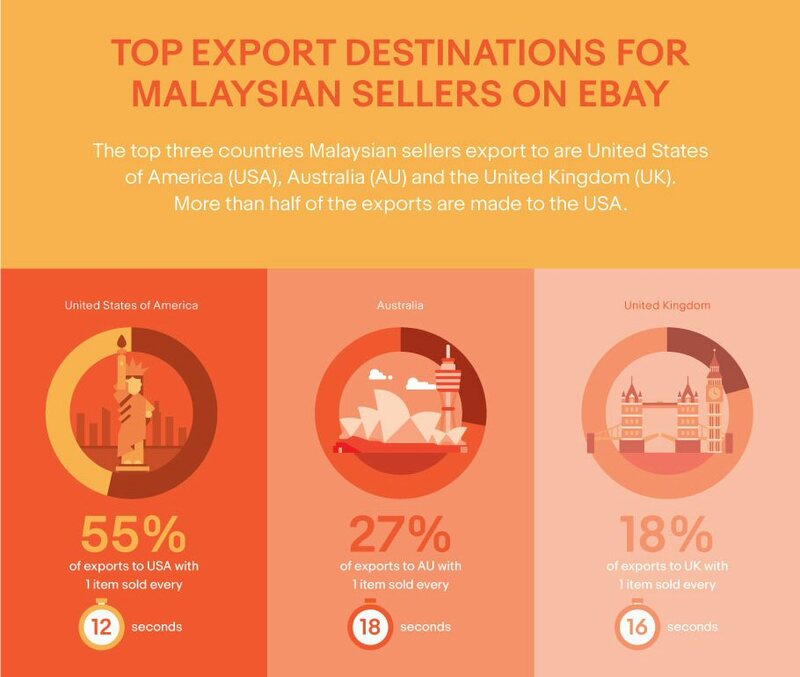 United States of America (USA), Australia and the United Kingdom are the top three countries that Malaysian sellers export to. The USA is the top export nation for Malaysian sellers with 55 percent of exports made in 2017. 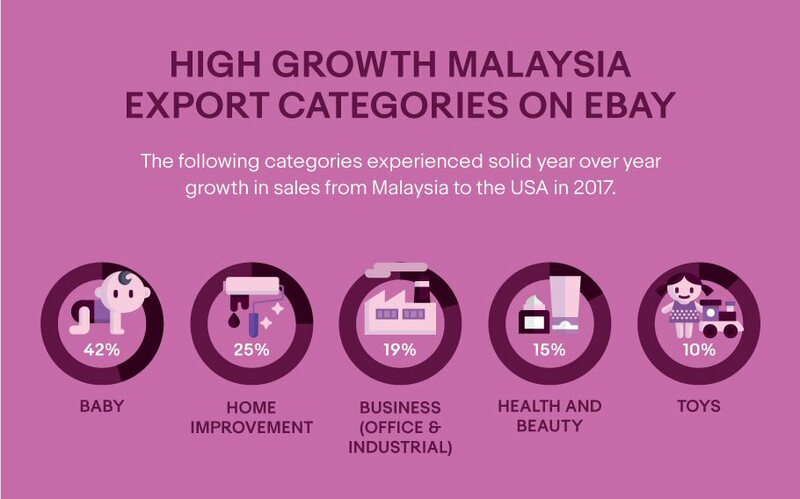 It is a great opportunity for eBay's Malaysian exporters seeking to grow their net sales to American customers, as they have a strong purchasing capacity per capita and high expenditure in eCommerce. In 2017, the top 5 product categories for sellers exporting to the USA are consumer electronic, cell phones and accessories, home furnishing, auto-parts and sporting goods. As a top export nation, there are opportunities for Malaysian sellers to continue exporting to the USA and expanding their global business footprint. Over the last year, eBay has seen a strong demand from American consumers for products in home improvement, business, health and beauty, toys as well as baby categories. Baby products saw the most significant growth from 2016, with a 42% increase. If your business offers baby products, then this is good news for you! eBay is a completely free and easy platform that provides our customers the ease of doing business. Whether it's taking their first step online or exploring new markets, we hope to help SMEs take their businesses to greater heights. We want our local sellers to grow and potentially have an international presence. Join eBay now to start your eCommerce journey and cross borders!